A gigantic panto awaits the audience at Chippy Theatre’s Jack & the Giant. Even before the sparkly blue curtain rises the audience is immersed in a world of fun, games and laughter at the village fete of Merrytown-on-the-Wold, guessing the number of sweets in the jar at the stall with its striped awning or perhaps checking out the prize winning jams. The curtain goes up on the fete itself, and during the show we have a taste of all the things that we have come to expect and love in a Chippy pantomime but none of the elements are contrived. Everything has its place in Ben Crocker’s tightly written script, making good use of both prose and rhyme within the unfolding drama. Ollie Birch, composer and musical director, has written songs which relate directly to the plot and are well interpreted and sung by the cast, in particular the duet between Jack (Rachel Dawson) and Princess Beatrice (Jessica Dyas). 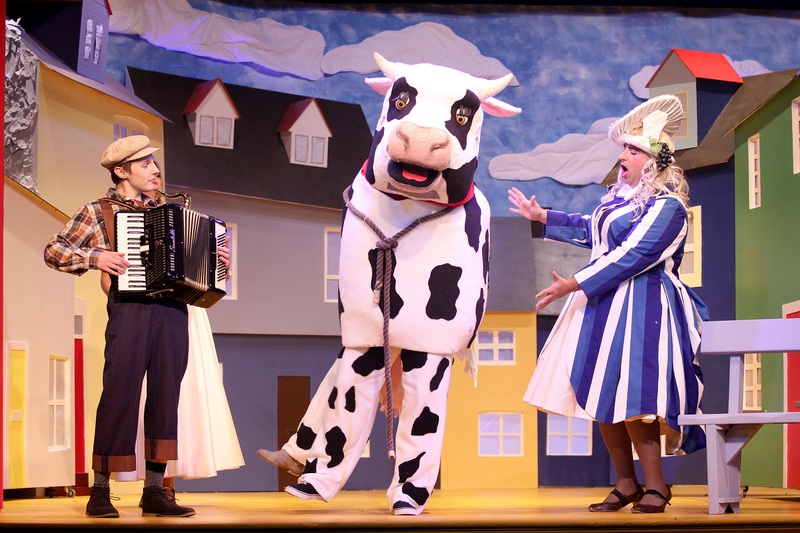 There is humour; drama; dance; puppetry; wonderful scenery (especially the giants’ castle); equally wonderful costumes; a ‘moosical’ cow; a dame; a couple of giants; audience participation; sweets… The list is endless. But what makes this year’s panto so special is the musicianship of the cast and their skill at acting one minute and seamlessly picking up and playing a musical instrument the next. There’s enormous talent on the stage with the actors playing banjo, guitar, double bass, saxophone, accordion, keyboard, flute and drums. Last but not least a mention must go to the Pippins, the teams of local youngsters who support the cast so well as village children, cows or goblins. Fee fi fo fantastic! Performances continue to Sunday 12 January. Call the theatre box office on 01608 642350 or see their website for tickets. 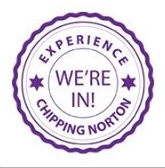 This entry was posted in Uncategorized and tagged Chipping Norton, Chipping Norton Theatre, Jack and the Giant, panto, pantomime, Philip Tull, Pippins. Bookmark the permalink.